Beets, known as beetroot in many areas of the world, seems to be one of those vegetables you either love or hate. 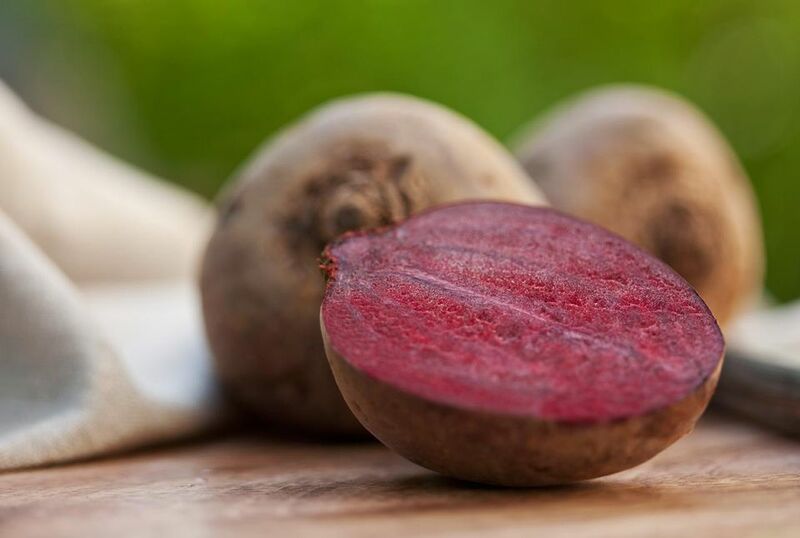 The rich maroon flesh of this root vegetable is naturally sweet and nutritious. As an added bonus, the leaves are also edible and can be prepared in the same manner as Swiss chard (also known as the spinach beet). If you have been making do with canned beets, you simply must try fresh beets for true flavor even beet-haters will enjoy. Be gentle when washing beets. You want the thin skin to remain intact for cooking. Although beets can be eaten raw, they are generally boiled, baked, steamed, fried, grilled or otherwise cooked before eating. For best flavor, bake beets instead of boiling or steaming. Wrap them in foil to avoid staining. Plan on 3 to 4 small beets per serving. Complementary herbs and spices include allspice, bay leaf, cloves, chives, dill weed, garlic, mustard seed, thyme, and citrus. To remove beet juice from fingers, rub with wet salt and lemon juice and then wash with soap and water. For cutting boards and plastic containers, use a bleach solution. 1 tablespoon of vinegar added to beet cooking water will not only reduce the odor of the cooking beets but also help them retain their bright color. Beets are naturally high in sodium, so no salt is necessary for the cooking water. Grated raw beets make a tasty addition to salads. What's the Difference Between Creole and Cajun Cuisine?